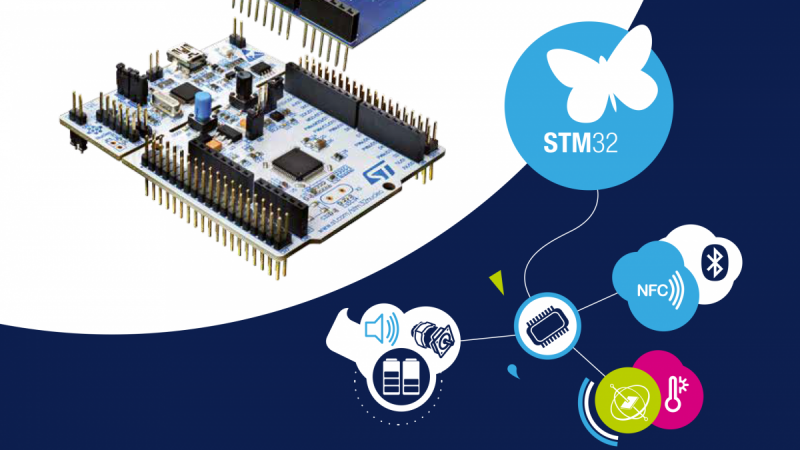 There Are No More Excuses Not To Develop The Next Big Thing – STM32L4 Is Here! 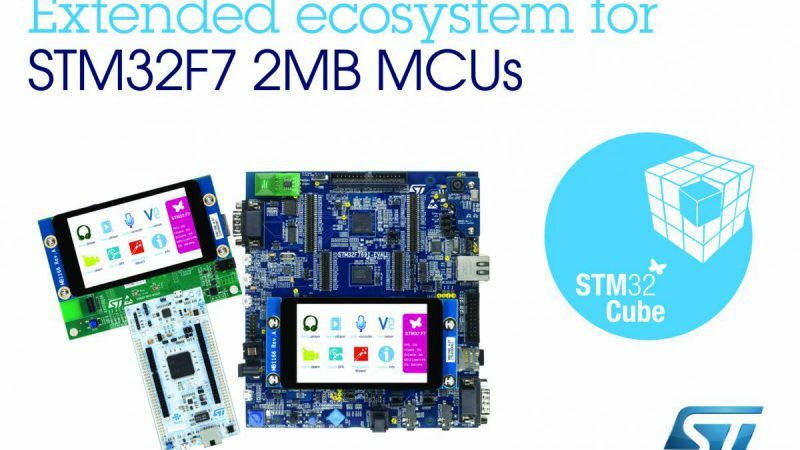 STMicroelectronics STM32L4 MCUs which have been announced earlier this year are now available! Why are we telling you his? Because you can do some really awesome stuff with those! The MCU is optimised for battery operated devices and scored record breaking 153 in the standardised EEMBC™ ULPBench® tests that compare the efficiency of ultra-low-power microcontrollers – proof enough that this ultra-low power wonder will certainly keep your applications alive as long as possible. So what to do with it? Throw it into your next wearable or even use it in Industry 4.0 applications for modern “plug and produce” solutions. With high processing capabilities and high memory size STM32L4 MCUs are well-suited for a huge variety of applications. Honestly who doesn’t like extended battery life and great performance? How to profit from STM32L4? 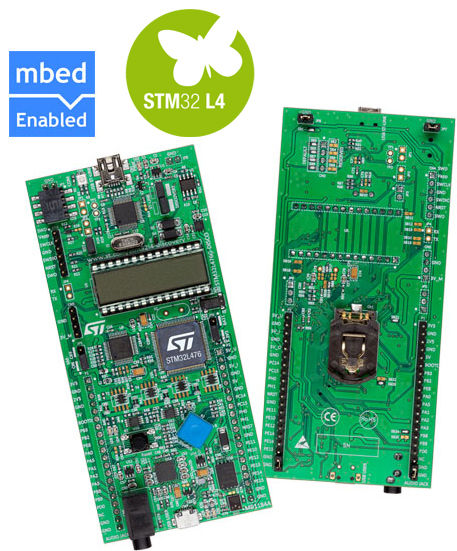 ST makes it easy for us, offering the STM32L4 prototype boards which include the fully featured Evaluation Board (STM32L476G-EVAL) and the Discovery Kit (STM32L476G-DISCO). 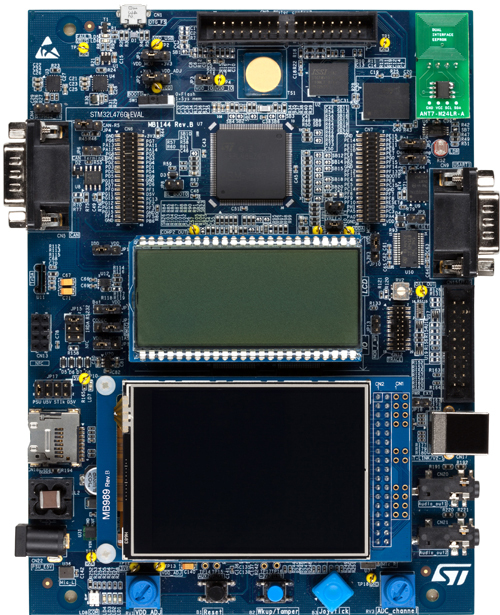 The STM32L476G-EVAL evaluation board has been designed as a complete demonstration and development platform for STMicroelectronics ARM® Cortex®-M4 core-based STM32L476ZGT6 microcontrollers with three I2C, three SPI, six USART, CAN, SWPMI, two SAI, 12bit ADC, 12bit DAC, LCD driver, internal 128 Kbyte SRAM and 1 Mbyte Flash memory, Quad SPI, Touch sensing, USB OTG FS, LCD controller, FMC, JTAG debugging support. The Discovery kit combines STM32L476 features with LCD, LEDs, audio DAC, sensors (microphone, 3 axis gyroscope, 6 axis compass), joystick, USB OTG, Quad-SPI Flash memory, expansion and probing connectivity. It includes an embedded Ammeter which measures the MCU consumption in low power modes. An external board can be connected thanks to extension and probing connectors. 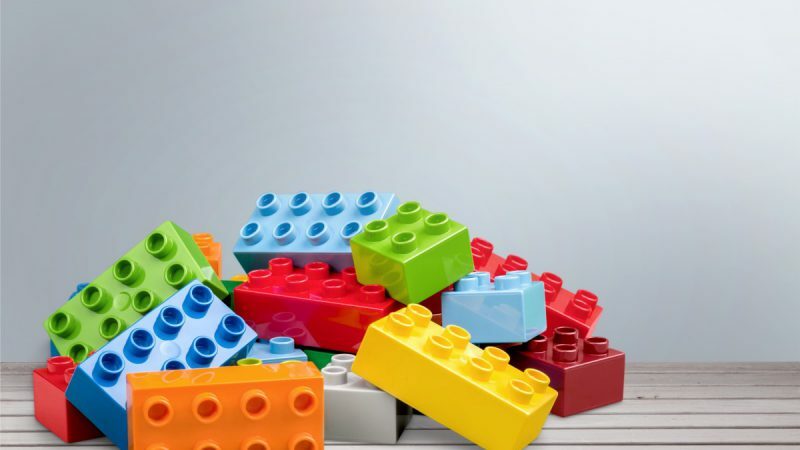 Looking for a more cost-efficient solution to get started? 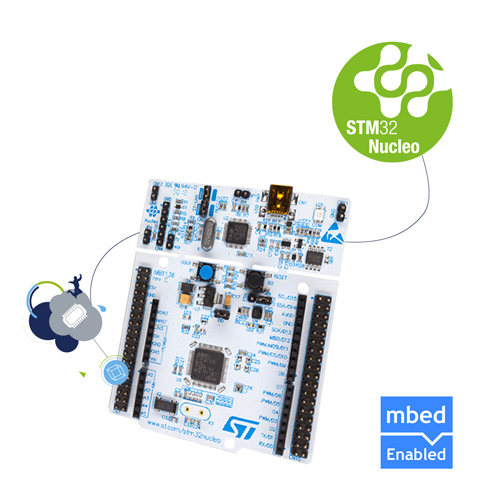 Help yourself and get into performance-oriented, energy-conscious embedded design using the STM32 Nucleo kit (NUCLEO-L476RG). The Nucleo kit has Arduino Uno headers for access to a wide choice of extension shields and integrates the ST-Link debugger/programmer that saves any need for a separate debug probe and allows drag-and-drop Flash programming. More good news? Whichever version you choose you will get access to mbed online tools! Stop reading here and start developing something great – here is the link to do so (or watch the “Getting started with STM32L476 Discovery” video below)!